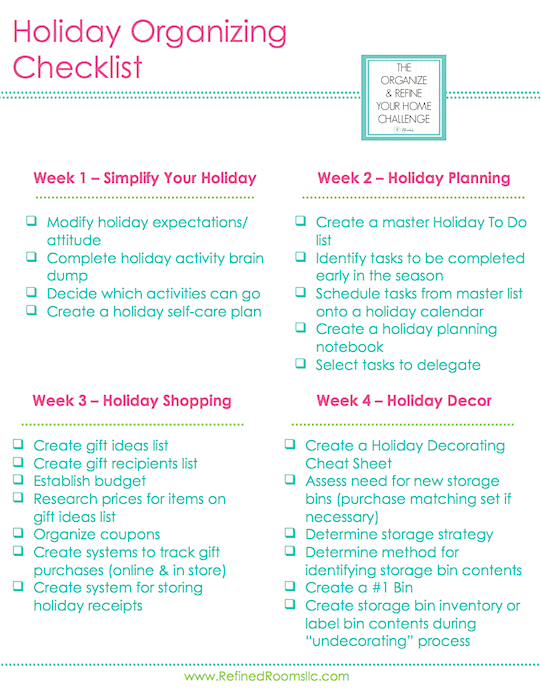 Did you enjoy your month off from the Organize and Refine Your Home Challenge? I’ll admit that I was happy to have a few weeks to deviate from my typical content in order to branch out a bit to write about blogging. But now I’m back baby! 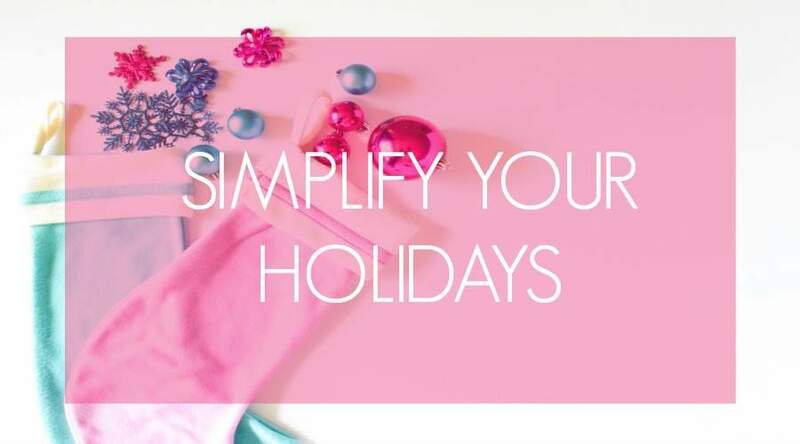 With sleeves rolled up and coffee in hand, I’m soooo ready to dive into this month’s challenge topic — How to simplify your holidays. Many of us have been in Holiday Mode for several weeks already, even though it’s early November. 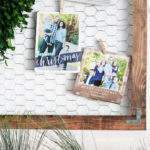 We’re gearing up to work ourselves to the bone in order to create Martha Stewart-like party spreads, and Pinterest-worthy holiday decor vignettes around our homes. And raise your hand if your family plays the “How Many Holiday Activities Can We Commit to Before Imploding?” game. 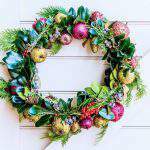 For a lot of us, the magic of the holiday season has slowly devolved into a never-ending list of extra tasks and obligations that leave us feeling depleted and longing for January 2nd. 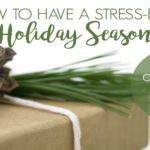 Today, I’m offering up 3 ways to dramatically simplify your holidays so that you can begin to look forward to the season and actually enjoy it! Time to fess up. Have you ever had a Clark Griswald meltdown when your idealistic picture of the holiday crashes head on into reality? We need to free ourselves from the unrealistic expectations of what we think we have to do this time of year and from our mind’s picture of what the holidays should look like. 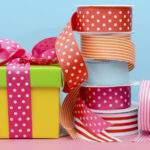 Be realistic about what you can accomplish with the limited time and energy that you have and do your best to adopt a Zen attitude this season. If your family is like mine, you’ve been caught up in the vortex of doing way to much during the holiday season. Repeat after me…“It’s o.k. NOT to do ALL THE THINGS”. Next, look through all of the things on that master list and identify that handful of activities/traditions that truly conjure up a magical feeling”and bring you real joy. 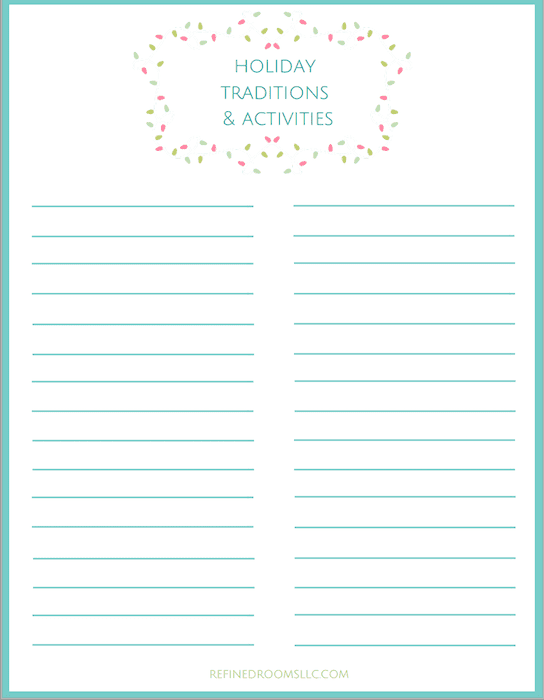 Using the Holiday Priorities worksheet (see below), list those activities in the Activities to Keep section. Then go through the master list a second time and highlight the activities that deplete your energy and can be classified as obligations. How many of these obligations can you eliminate from your schedule? 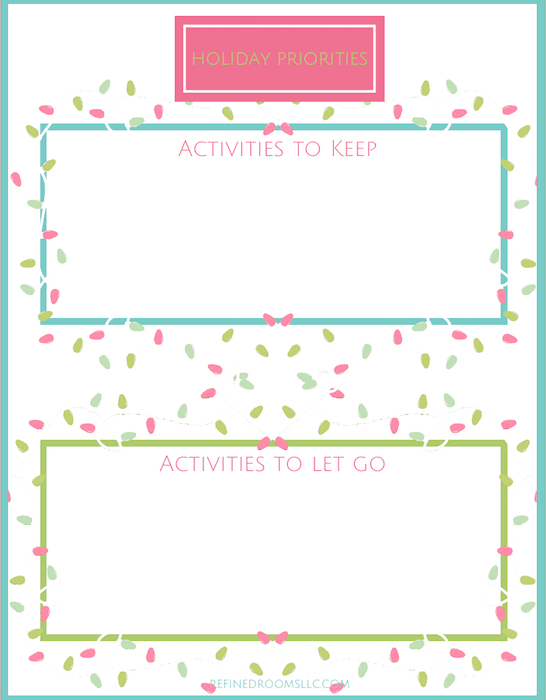 List the obligations that are feasible to eliminate in the Activities to Let Go section of your Holiday Priorities worksheet. When you start to realize that there really is no mandatory list of activities that you MUST do, it’s very liberating! Is putting up exterior lights the bane of your existence? Nix it off the list. 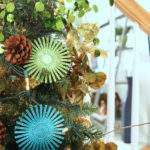 Despise attending the neighborhood holiday party? Say “no thank you” this year. 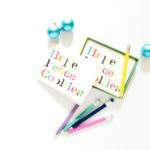 Overwhelmed by the thought of getting Christmas cards out? Send an e-card or nix cards altogether. 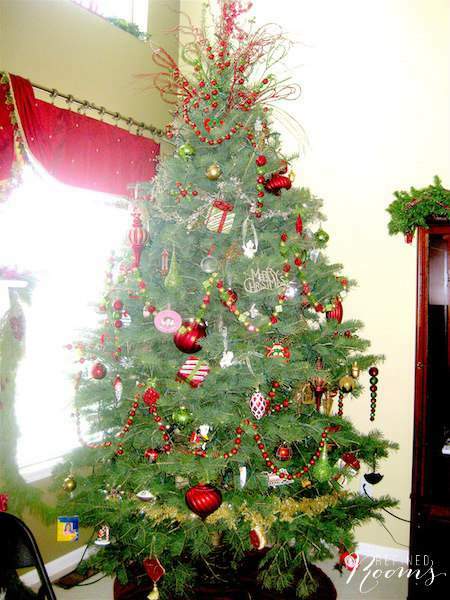 After surveying my family members and learning that all but one of us didn’t mind the idea of a 7-foot artificial tree and wouldn’t be devastated about missing our annual trip to the tree farm, we made the executive decision to nix the live tree (poor Hubby went kicking and screaming, but he got over it). I took it a step further and handed over the responsibility of decorating it to my 2 kiddos (adopting my Zen attitude). Does it look as fabulous as when I single-handedly spent an entire day decorating it myself? Not quite. Am I o.k. with that? Heck yea! Time is a valuable commodity and I saved so much of it by letting the kids take charge. Of course, they enjoyed the freedom of choosing the ornaments and placing them wherever they wanted without Mom rearranging them too! To help you cope with the crazy demands of the holiday season, it’s crucial to make self-care a priority during the coming weeks. If you’re like me, this probably runs counter to your natural inclination to put your needs on the back burner in order to attend to the needs of others and attack your super-sized holiday To Do list. But Friend, you know as well as I do that if you neglect yourself, your chances of truly enjoying the season are next to nil. Whatever it is that energizes you and lifts your spirits, schedule it into your calendar. Maybe it’s a morning walk, or a pedicure, or curling up with a favorite book for a few hours each weekend. 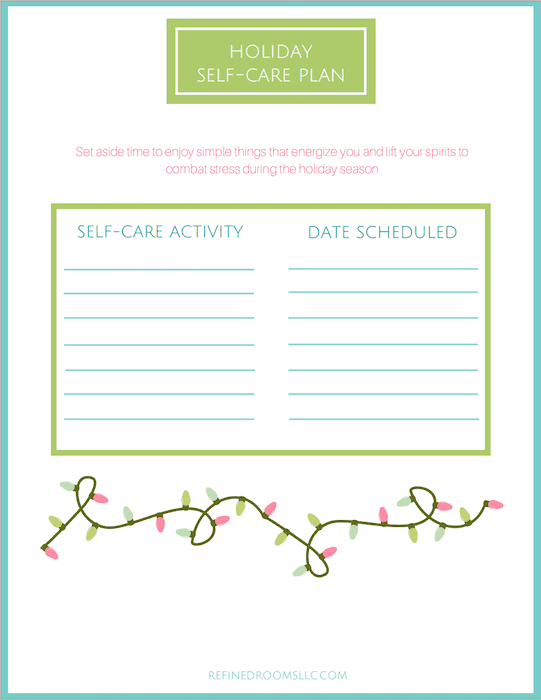 Use the Holiday Self-Care Plan worksheet below to create a game plan for preventing holiday burn-out! 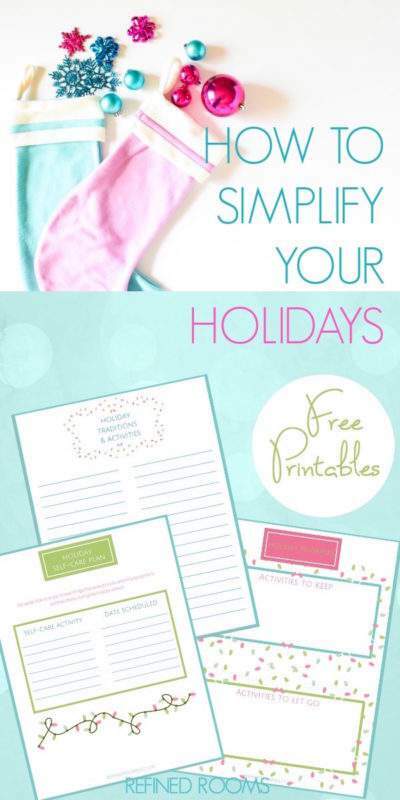 I’d love for you to share how you’ve chosen to simplify your holidays this year. 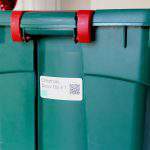 What holiday obligations are you planning to let go? Drop me a comment and let me know! Great tips! 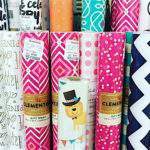 I totally need to simplify things and get organized for the holidays! Thanks Heidi! Believe me, we all do! So funny you bring up the quandry of having to rearrange the entire living room to fit a tree in. 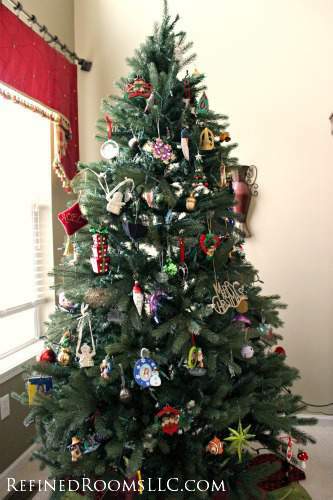 As part of my home redesign, we are about to get all new furniture in the great room, so the large Christmas tree thing will become a challenge for us as well. I love your idea of two smaller trees; I’ll have to pose that idea to the Gallagher Clan and see if it meets with their approval. Thanks! I find the biggest challenge to be balancing one’s own expectations with those of other family members! I hear you Janet. It is easier said than done. Sometimes we need to become comfortable with others’ feelings of disappointment and put our sanity first though.